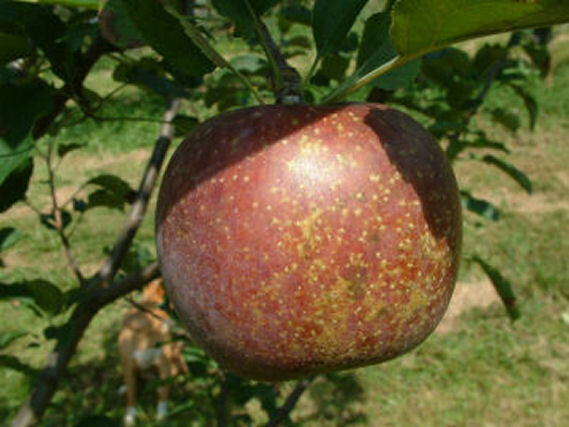 An old apple of uncertain origin, but probably American. It was noted by the Royal Horticultural Society of London in 1893 and widely grown in New York and New England in the 19th century. A large, slightly conical fruit with red and purplish-red striping and covered with a fine blue bloom. The delicate creamy-white flesh is tender, sweet and slightly aromatic. Ripens October to December.